We want to see all our notes at once. What is the Best online notes service? We spent a lot of time and found many online notepad services, but not all meet our criteria. Many of all not support mobile devices, are hard to load in browsers or are difficult to understand. Many of them require registration or login. But the most important thing that we found is the loss of information on other devices. 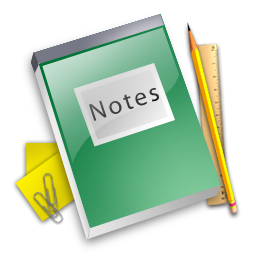 Ok, many online services we found with bugs, but we also found some good online note services. Ok, but why this one? Simple, clear design and nothing unnecessary. Support all mobile devices and all browsers. Here you never lose your notes and more - here you can add unlimited count of online notes and here online notes are stored unlimited time. It can be short notes or very large notes. You can manage, edit and delete your notes and all this is without registration or login. Support multi-language notes with programs code. You can create your notes online with scripts and HTML tags inside without losing data. All web links become clickable after note saved. Support Friendly URLs. You can create your own URL name to your note. Easy access to all notes at once without sign in. Share in social networks is available. We recommend for us to keep up with the time and forget about paper notes. Today many familiar things you can do on the Internet. Take notes online is very easy and useful for every day. Just write your first note online and fell all the benefits of online services.